Liddell’s Division reunites and reforms. Breckinridge’s Division moves forward to support Walker’s Division. 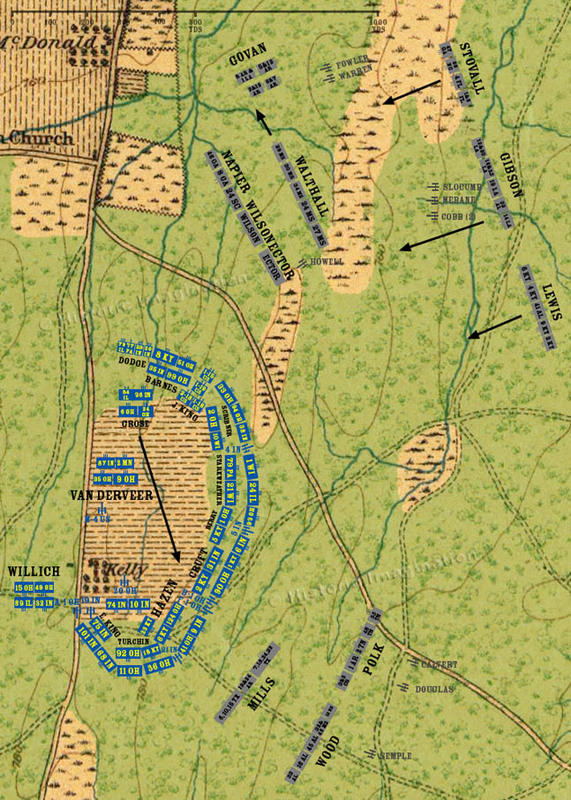 In Kelly Field, Colonel Grose moves his brigade south and rejoins the rest of Palmer’s division.